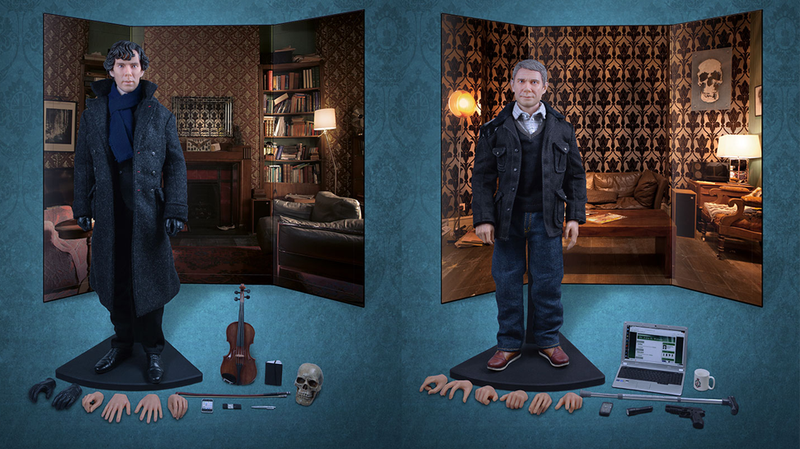 Oodles of new pictures of Big Chief's Sherlock dolls! 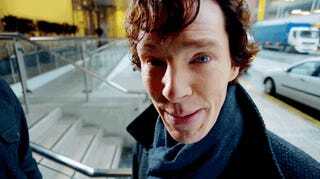 Remember those swanky (and pricey) 1:6 scale Sherlock figures I told you about? Well, they start going on pre-order sale over the next few days, so to celebrate Big Chief Studios have released a ton of pictures to show them off. Look at all those extra hands! Good lord, these 1:6 scale Sherlock figures are great - and expensive! Priority Pre-orders for the run of 1400 figures - 400 featuring hand signed plaques from either Benedict Cumberbatch or Martin Freeman - begin tonight (for bundled pairs of figures - so you'd get Sherlock figure #127 and John Figure #127, for example) and tomorrow (for single figures - you could order one of each, but get Sherlock #208 and John #312) in blocks at 6pm and 9pm BST, with general pre-orders for the remaining figures beginning at 6pm BST Friday, October 18th. Check out Big Chief's website for more details.